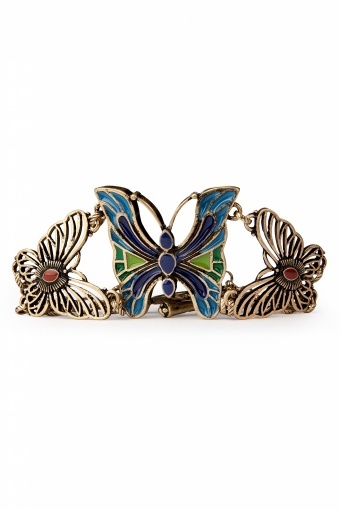 20s Art Deco Butterflies bracelet. 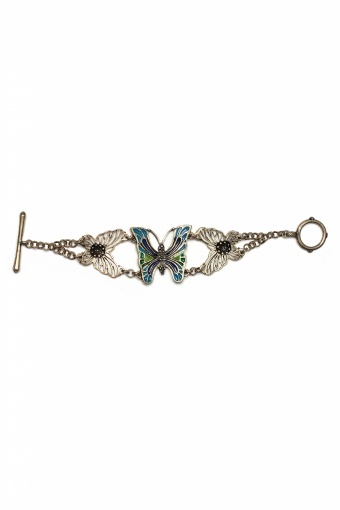 This very elegant bracelet with three seperately conected butterflies hugs your wrist beautifully. The two butterflies at the sides are cut out elegantly and have a enamelled little body in a warm brown-red tone. The butterfly in the middle is enamelled in various blue an d green tones.